Details: Lab.gruppens Class TD maintains the same pristine sonic quality as a traditional Class AB amplifier. Heat and cooling are fundamental problems in many extreme high power amplifiers similar to the fP 3400. Addressing this issue with innovative thinking, Lab.gruppen patented a high efficiency amplifier topology that represents a major evolutionary step beyond the typical Class D design. Designated Class TD (for Tracking Class D), this breakthrough technology achieves the same high efficiency as Class D, while avoiding the inherent drawbacks. In particular, Class TD avoids the steep recovery filter in the audio path that is required with ordinary PWM Class D designs. 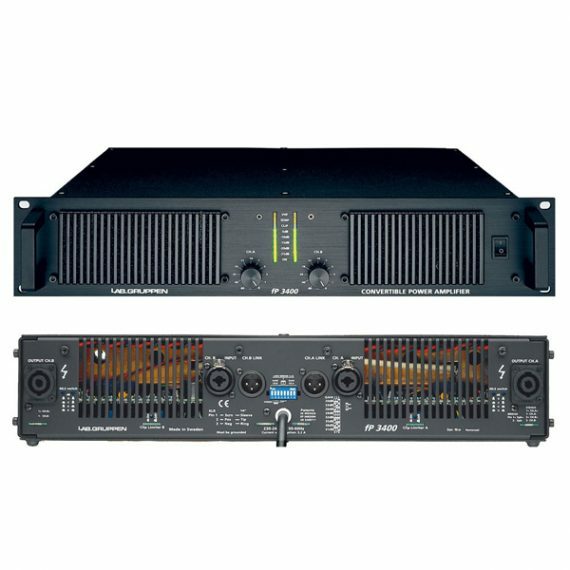 Although overall efficiency is comparable to Class D designs, Lab.gruppens Class TD maintains the same pristine sonic quality as a traditional Class AB amplifier.